The slanted rain of an approaching storm signals Mother Nature’s nearing onslaught. 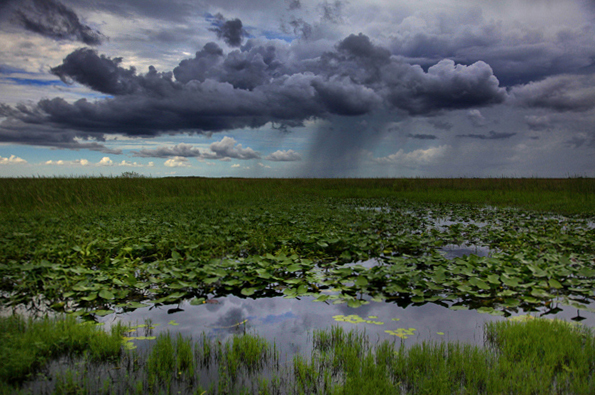 Storms move very quickly in the Florida Everglades and can be seen from great distances due to the lay of the land. I, for one, have been caught in more than my share of downpours when I waited too long to get the best image, and she punished me for it. Hopefully, there will be an approaching storm…of new collectors.